So the time has arrived and Saints have parted company with Club legend, Keiron Cunningham. It’s been coming, and although Keiron was given a stay of execution with wins over Catalans and Warrington, back to back woeful performances against Salford and Huddersfield meant that Eammon McManus had to make one of his hardest ever decisions in dismissing him. Was it the right time to make the change? I believe so. Keiron was given chance to get Matty Smith back in the side, but the team has gone backwards at a rapid rate and Friday’s performance was finally one too many. The two fixtures over Easter could easily have saw back to back drubbings with Keiron in charge, and soured relations between fans and club further. The results may still happen, but taking Keiron out of the equation gives the club a bit more of a free pass: win and it’s a bonus, lose and we never expected anything from it anyway with an interim coaching team in place. It’s extremely bittersweet. Keiron is one of my Rugby League heroes who I desperately wanted to see succeed, when he was appointed I said that if he was a success, then Saints would have a coach in place for the long term. However, the world’s best players in any sport don’t always manage to bridge that gap to become great managers…Bobby Charlton and Maradona to name but two from the world of football. A full inquest will take place – fans asking whether Cunningham should have ever been appointed to the position in the first place after such a short apprenticeship under Nathan Brown. However when the opportunity presented itself, there was no chance that Keiron was ever going to turn it down – we’d just won a Grand Final with a team with no half backs, and it probably seemed a natural progression to allow the Assistant Coach to take charge and ensure continuity. “It wasn’t a tough decision. There are a thousand people out there who’d like to take the reins at this great club. I’m in a very privileged position. I’ve contributed to helping some of these kids come through. The future of this club is very bright and I’d be a fool to sit back and let someone else come in and try to change it. I’ve been in charge of the attack for the last two years so the way we attack won’t change greatly. I’m also a big believer in playing your kids if you can, no matter what age they are.” Keiron Cunningham talking after his appointment. 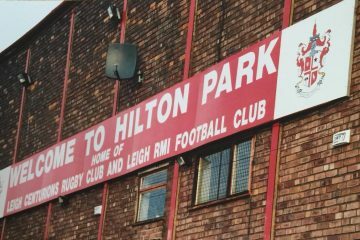 Hindsight is a wonderful thing, but a couple of things stand out from Keiron’s first interview that he gave upon his appointment. Firstly, KC had been in charge of the attack for 2 years, and it was stale -changes needed to be made, but Keiron’s downfall was in believing that statistics would eventually guarantee results – talk of winning the grind began to grind on the fans nerves, with very little mention of entertainment being mentioned. Secondly, Keiron talked of believing in playing the kids, but this very rarely occurred – with the youngsters seemingly becoming the easy target in the blame game on the rare chances they did get to play – Richardson after a couple of appearances this term, Calvin Wellington afforded the luxury of only 40 minutes at the Magic Weekend. One of Keiron’s biggest problems was his inability to communicate effectively with the fans; far too often fans would depart from the stadium after watching utter dross, only to be told they had watched a different game and that they were wrong, that they were kneejerkers – comments like that only served to polarise the fan base further, with the final kick being the insinuation that the fans who were critical weren’t real fans. You only have to listen to the fans on the terraces or the fans who sought us out on Redvee TV at full time on Friday desperate to have their say on the ineptitude that they’d witnessed on the pitch to see that these are loyal, passionate fans who wanted nothing but success for the club. 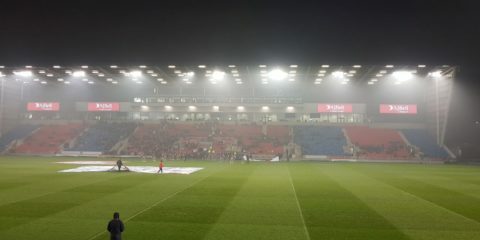 Whether that came from playing Jon Wilkin time and time again at half back and allowing him to kick useless bomb after bomb, sticking with Peyroux in the centres, continuing with the same dour tactics and the same set of underperforming players, Keiron’s faith in his charges was misguided. It’s interesting to note Sean Long remaining at the club after Cunningham’s departure: was he separate from the decision making taking by Keiron as head coach and should be judged on his own merits? It’s all well and good fans saying Long should have departed also, but not of us know exactly the dynamics of the coaching side. Maybe with Keiron gone, Long will develop a more expansive brand of rugby in the short term? We shall wait and see. Has Keiron been unlucky during his tenure? Keiron could point to the amount of injuries to key players over the last few seasons in key positions as a major problem in gaining the continuity needed for success, but other sides in Super League are able to cope with the loss of key players without descending into free fall, and the argument reverts back to squad depth and the use of youngsters. 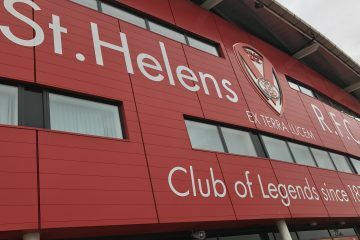 History will show that Keiron is the first coach since Kel Coslett to fail to lead a St Helens side to a major final during his time in charge. An unfair statistic to use maybe, given the way the game has levelled out over the last couple of years, but equally it highlights the team’s inability to rise to the occasion in the big games when it matters – Playoff Semis, Good Friday games, Magic Weekend, games against the Aussies – games that mattered most to the fans. Recruitment has been largely poor – whilst many mistakes such as Travis Burns, Atelea Vea and Lama Tasi brought in and shipped out, whilst others such as Dominique Peyroux remain despite their inadequacies and yet still look like getting a shirt week in, week out and the club continue to make errors of judgment in signings such as Jack Owens and Tommy Lee who certainly aren’t Saints quality, and possibly not Super League quality players either. On top of that, Keiron remained loyal to too many of his underperforming long serving stars – no matter how bad their performance, you could guarantee their names would be the first on the teamsheet for the following game. However, the players themselves should not shirk the blame completely. Whilst the tactics may have been rigid, it’s absolutely no excuse for them not being able to do the absolute basics, for looking disinterested and for ‘failing to turn up with the right mentality’ – how many times did we hear that excuse? You would have thought they’d have learnt! Some of the errors the players were making were beneath those expected of professional players – we hope a fair few of our first team squad have gave themselves a long look in the mirror today and asked themselves if they’ve given their best for their coach. What next for Keiron? We certainly don’t believe this is the last you’ll have see of him, he’s far too proud and stubborn to walk away from the game he has given so much too. After a period of reflection and time to rest, we hope he’d consider the Steve McNamara route of heading down under to take an NRL assistant coaching post, where he can develop new ideas under the tutelage of some of Australia’s best, before one day returning to these shores to have another crack at one of the top jobs in Super League. All that said, it’s important we now separate Keiron Cunningham the coach, from Keiron Cunningham the player, the club legend. He has dedicated the majority of his life in trying to do his best for the club, he’s contributed to many of our greatest sporting memories and been instrumental in many of our clubs greatest achievements. The statue will remain and rightly so – we hope one day soon that Keiron will feel that he is able to come and join the fans on the terraces and support his boyhood team, and get the adulation he so rightly deserves for his efforts. Keiron Cunningham, St Helens RFC Legend. It just wasn’t to be in the end.. but watch the video below of the terraces of Knowsley Road, a reminder… Long Live The King. Nice piece Dave, totally spot on. Loving the Redvee TV. Hope your looking at expanding it like Redmen TV and Toffee TV if you need any help let me know.